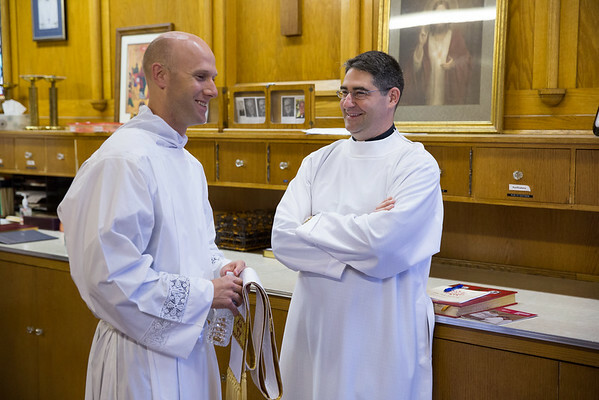 Highlights of the Ordination to the priesthood of Vincent Strand, SJ, Saturday, June 4, 2016, at Church of the Gesu in Milwaukee, Wis.
Vincent Strand, SJ, was ordained a Jesuit priest on Saturday, June 4, 2016, at Church of the Gesu in Milwaukee, Wis., by the Most Reverend Jerome E. Listecki, archbishop of Milwaukee. Also celebrating the ordination were Jesuit Frs. Brian Paulson, provincial of the Chicago-Detroit Province, Thomas Lawler, provincial of the Wisconsin Province, many Jesuits, and priests of the Archdiocese of Milwaukee, including Fr Strand's brothers, Frs. Luke and Jacob.